Island Air Service expanded their Flight Support Services this summer. Each summer, there are several private jets that stop in at Kodiak to drop off passengers to go fishing and sightseeing. These jets and turbo props usually need to be refueled and serviced, so Island Air Service, has responded by adding dedicated services that offer refueling, parking, lavatory services, catering and ground transportation to incoming passengers and crews. 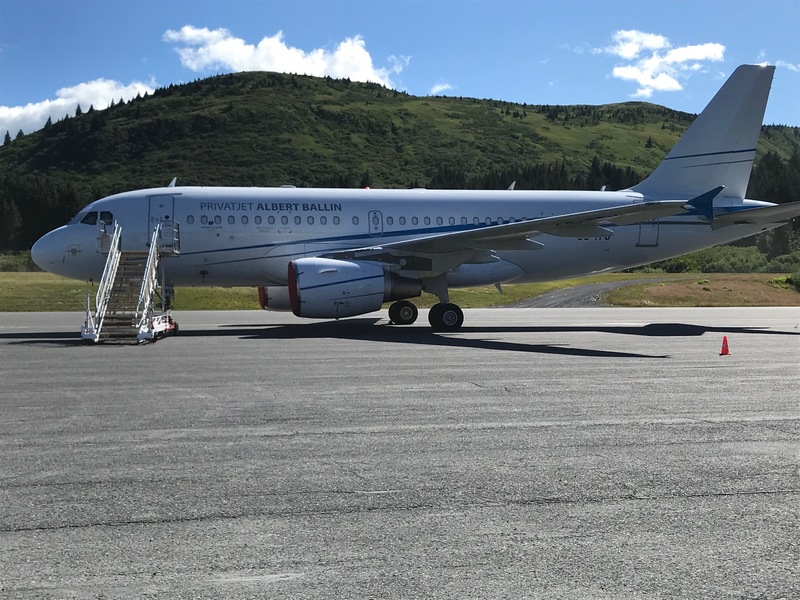 So far this summer, Island Air Service has serviced an Airbus A319 that flew in from Germany with 44 passengers and 9 crew on an “air cruise” of Alaska and Canada. This large Airbus was carrying high-end clientele. Each seat on the plane was a “first class” seat. There was a private chef on board and a doctor in case of medical emergencies. Our ground crew serviced the aircraft, unloaded and later reloaded baggage and to ensure the passengers left with a taste of Kodiak, they were all served fresh cookies, courtesy of Alicia and her staff at Java Flats. Island Air has also handled various other jets, ranging in size from a Cessna Citation Mustang – a very small private jet, to Trident Seafoods three engine Falcon 900.